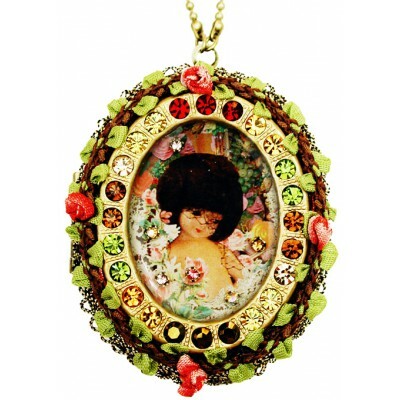 Michal Negrin necklace with a large locket pendant. 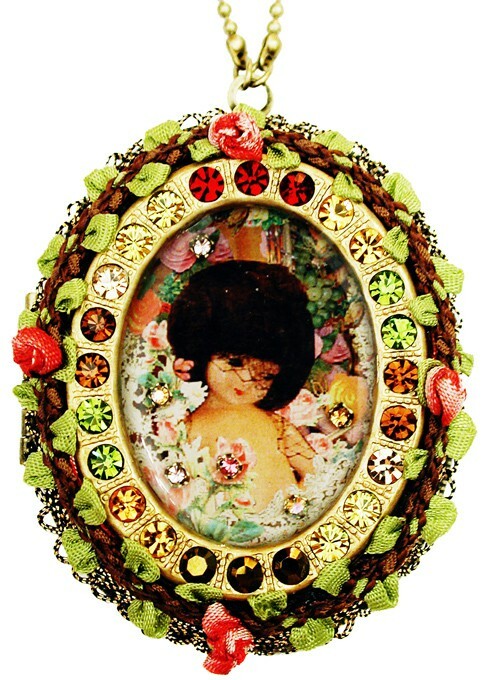 With a Vintage Doll cameo, woven flowers and leaves and Swarovski crystals. The locket measures 1 3/4 inches high X 1 1/2 inch wide and can hold inside two pictures. The chain length is adjustable.